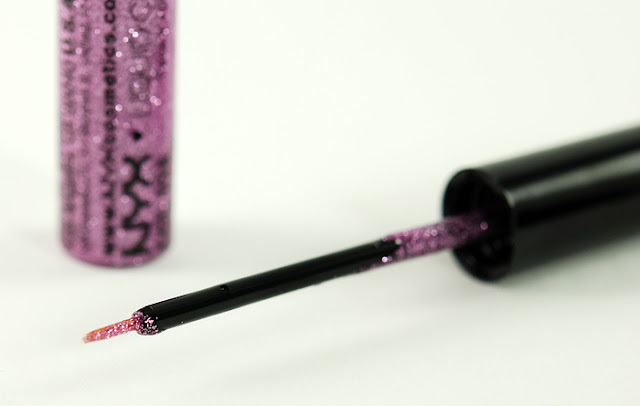 These are two glitter liners from NYX that I've been trying out. Crystal Aqua is a very bright blue and Crystal Pink is more like a toned down purple. 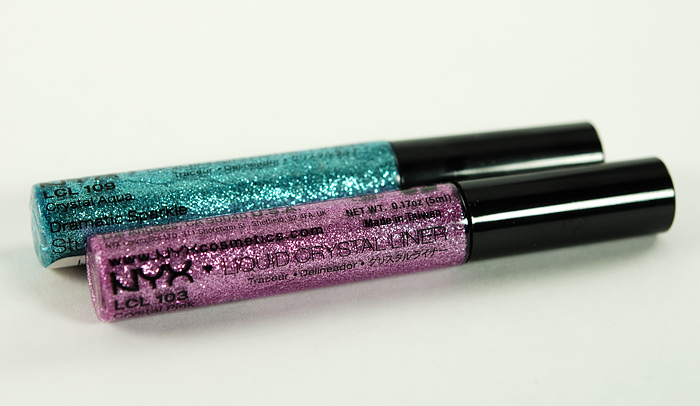 I think the pigmentation is great for these glitter liners, especially when they're 5$ each. 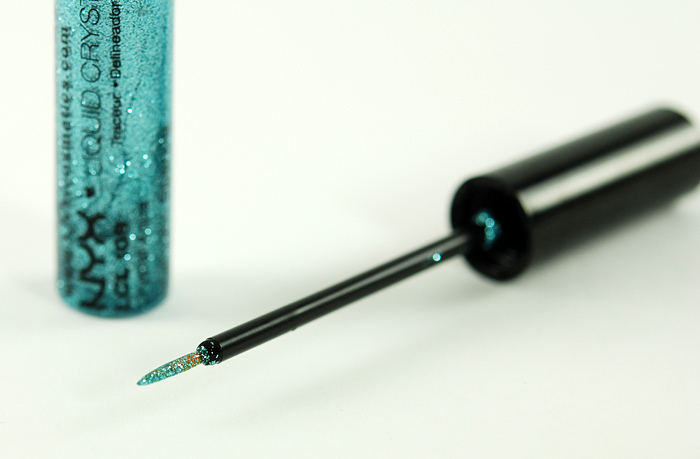 They have fine brush tips that keeps application fairly precise. Also, building up color is easy and they take about a minute to fully dry. 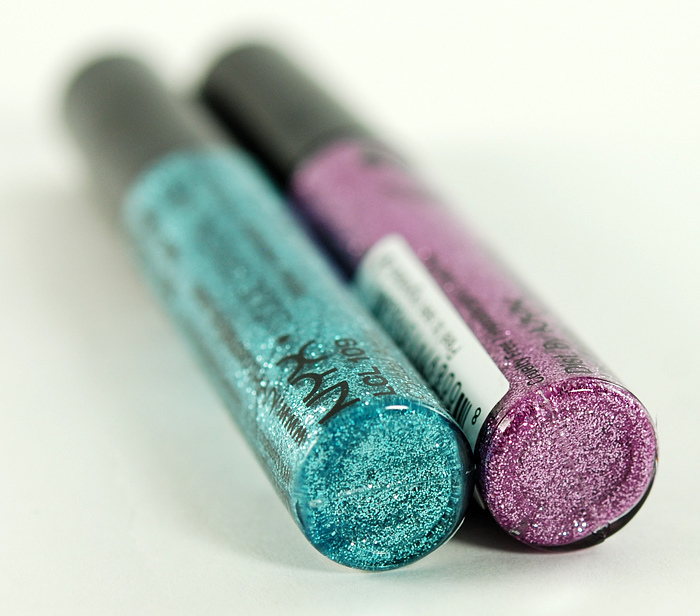 The only real problem I found with these is that they flake off within half an hour!